Our great American builders are adjusting quickly to support our housing starts that are the foundation to our economy. We watched the beginnings of the labor shortage during the collapse of the housing market in 2008 to 2010. The affects have hurt American builders ability to get jobs completed on time due to the lack of job site labor we had that left the country and have never come back. The Country’s construction industry may be swamped with housing starts, while spending on new projects peaked well over One trillion dollars, but all the housing starts with a great economy and all the dollars in the world can’t fix the industry’s persistent labor shortages if we continue to build the same old way on site. 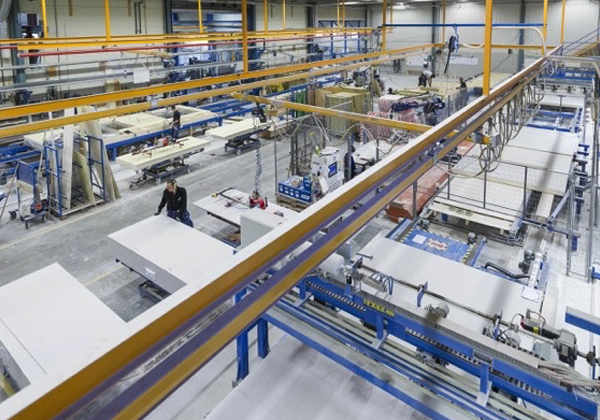 Since this issue is Nationwide, we are seeing an influx of pre-fab shops, with plenty of off shore capital showing up to build mega automated plants. Just as some of our great builders began to defend the many arson strikes, the same builders are changing direction and deciding to now use factory built pre fab products that require less labor on site nd are more efficient. Our hat’s are off to our great American Builders and their new innovations that are helping support our housings starts and defending arson attacks. What we used to see piled up on job sites, is now showing up pre-built, requiring less labor on job sites. Builders are adding security guards, taller fences, high def cameras and many are now fire defending 100% of the interior lumber like never before. Our Insurance and Risk Management Teams are embracing new fire defense innovation that are helping builders lower their risk and premiumss. Together, our building industry, is adjusting in a great way with all the changes that had the potential to slow our ability to meet the demands of the housing starts. The innovative builders that started the high production assemblies after WW2 would be proud of our American Builders today. Next time you meet one of our great builders thank them for what they do to support our economy.